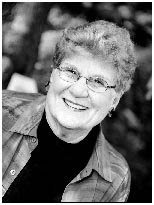 With great sadness, we received word of Shirley McClanahan Maynor's passing. She did all she could to stay with us, but it was time and she had earned her reward. CHS'54's "LDL" became a reality because of Shirley and we thank her for this gift. "While I am very sorry to lose her, I am happy that her long struggle is over. I went to see her on Thursday afternoon and she was asleep. I waited for awhile (her roommate kept saying, "Wake her up! "), but I just did not have the heart to do it. I knew that she couldn't live much longer and talking was difficult. She didn't need company anyway---she needed rest. I went to the desk and asked for a piece of paper and an envelope, wrote her a letter and put it on her bedside tray table. I doubt that she was able to read it, but that was not important to me-----I just wanted her to know IF she was able to read or IF someone told her that there was a letter for her, that she would know that (I, or someone) cared enough to come by to see her----IF she was that lucid. She put up a fight and never complained and I'm confident that she died with dignity as she went to be with her Lord." 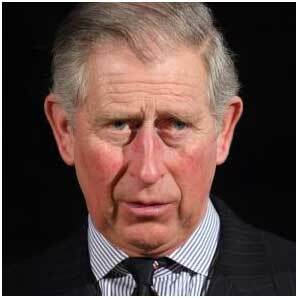 I see where Prince Charles is talking to plants again. In a new BBC documentary about the Prince of Wales, he admits, "I happily talk to the plants and trees, and listen to them. I think it's absolutely crucial," the prince says. "Everything I've done here, it's like almost with your children. Every tree has a meaning for me." That story reminded me of my mother, and how much she loved plants…..and gardening. She took good care of her plants, but as far as I know she never talked to them. However, they did talk to her! At least her “Cape Jasmine” bush did. That was the first thing she planted when she and my Dad moved into our house on East 5th Street in 1936. Just like her mother had done around 1906, and her grandmother had done in 1880 or so and who knows how many other “Mothers” before that, she brought a cutting from the Cape Jasmine bush in the yard of her South Carolina childhood home and planted it in front of her brand new home. But how successful this great, great grandchild of those ladies' favorite plant would be was in doubt. 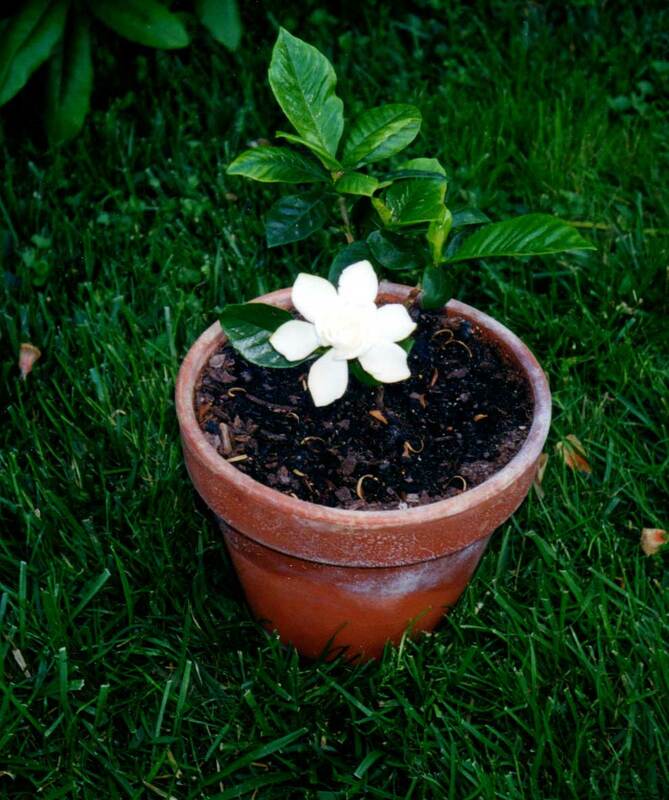 Charlotte winters were known to be unfriendly to Cape Jasmine plants. South Carolina was about as far north as they would grow. Over the years, whenever the cold winds of winter blew, Mom never failed to cover that historical plant. With her loving care, it thrived in its Charlotte home for over 65 years, rewarding its human mother, with its oh so sweet fragrance and beauty at eerily appropriate times; such as household birthdays and special occasions. After I moved to Washington my little family’s visits became special occasions for my Mom, and I hardly remember a time when she didn’t point to the window to show us a brand new Cape Jasmine Bloom that she contended had recently appeared as if to celebrate our visit. Linda and I tried several times to bring a cutting up to our home to see if we could keep the family tradition alive, but to no avail. The last time we tried was just before my Mom moved out of her home. She had started the cutting in a small pot and apologized for its diminutive size, explaining that it was too early in the year for the tiny bud to bloom but by the end of the summer the plant itself might possibly do OK….at least til winter. To our surprise, the day after we returned from our trip to Charlotte, we awoke to the sight of the prettiest little flower you ever saw standing proudly in that dull clay pot. It was quite a sight. I even remember the date; it was May 26th. Roy Grant, known as "Whitey" of the "Whitey and Hogan" duo who gained fame performing with WBT's Briarhoppers died yesterday. Grant was the last original member of the band that began on the station in 1934. 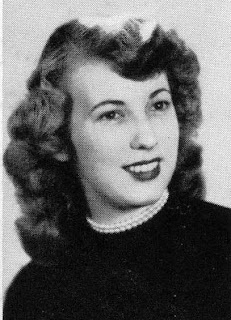 Many of our class of 54 remember Yvonne Grant, one of Whitey's three daughters, who was in the CHS class of '56. During the Great Depression, Roy "Whitey" Grant played old-time music with his neighbor Arval Hogan in a Gastonia mill village. They both worked in the sprawling Firestone textile plant, picking and singing on the side. Soon, their music found a larger audience. As members of the legendary Charlotte-based Briarhoppers, a superstar string band that performed over WBT radio, the two singing mill hands became known worldwide. 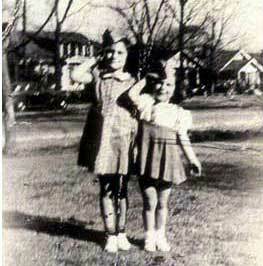 They were later recognized by Nashville's Country Music Foundation as the longest-running duet in country music. Grant, who died Friday at age 94, was remembered by his friends not only as a great guitarist and pioneer of modern country music, but as a caring person. "As much as I loved the music he made with the Briarhoppers, I enjoyed more the gentle homespun goodness you felt in his presence," said Tom Hanchett, historian with the Levine Museum of the New South. "He was a gentleman who lived for his community. He helped create that community by picking and singing and neighboring to his region on the radio and in concerts and schools." Former WBT radio personality H.A. Thompson called Grant "one of the nicest, finest human beings on the planet." "He traveled the journey well, made friends along the way, and gave us music to make us happy," Thompson said. "You can't do a better job than that." A Shelby native, Grant grew up in Rutherfordton and moved to Gastonia in 1935 to work in textiles. One Sunday afternoon, he met coworker and mandolin player Arval Hogan in the Firestone Mill neighborhood and they began harmonizing. They got good enough to sing on weekends at country churches and schools all over the Carolinas and Georgia. Known professionally as "Whitey and Hogan," the duo cut 16 sides for Decca Records in New York City. 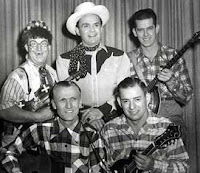 They played on radio stations in Spartanburg and Gastonia and in 1941 joined the famous Briarhoppers. WBT announcer Charles Crutchfield organized the band and coined its folksy name. Beamed from Maine to Miami by the 50,000-watt station, "The Briarhoppers Radio Show," with a theme song of "Wait Till the Sun Shines Nellie," was an Americana treasure. Cast members became household names. "In those days and in this part of the country, we were as popular as the Beatles," Grant told the Observer in 1991. "We'd get 12,000 cards and letters a week - some just addressed to Whitey and Hogan." The singers connected with their audiences "because they were just like the people who were listening to them," said Tom Warlick, author of "The WBT Briarhoppers." During World War II, the CBS network beamed Briarhoppers radio shows to American troops overseas. 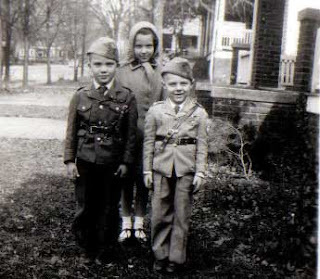 Soldiers sent fan mail addressed simply "To Whitey and Hogan, WBT Briarhoppers," and "the letters got delivered," Warlick said. 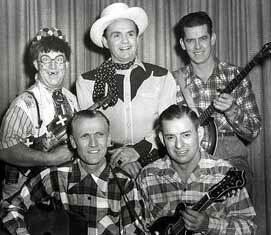 When the Briarhoppers show went off the air in 1951, Grant and Hogan, who were next-door neighbors, worked together at a Charlotte post office. Sometimes they sang as they sorted mail. During the early 1970s, they joined other retired Briarhoppers and revived the old act. They played at schools and nursing homes, civic clubs and shopping malls. They toured Europe and got a gig on Garrison Keillor's radio show "Prairie Home Companion." The Briarhoppers mostly stuck to the old songs - such numbers as "Old Log Cabin for Sale," "Sunny Side of Life" and "Big Rock Candy Mountain." Their kind of music would be introduced to new generations in the 2000 movie "O Brother Where Art Thou?" 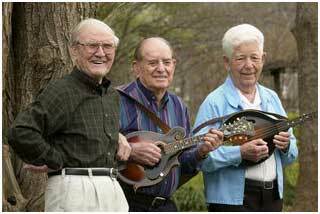 In 2003, the band got a top state honor, the N.C. Arts Council's Folk Heritage Award. That same year Hogan died at age 92. "He was closer than a brother," Grant said at the time. "We sang with one voice." Over the years, they'd described themselves as two little dirty-faced mill boys who made good. When his longtime partner died, Grant carried on. He continued to perform with new band members until about three years ago, according to Warlick. "Whitey was the last of the true music stars from the golden age of radio," said Warlick, who joined the new Briarhoppers two years ago. "He was a giant." When I was in Charlotte for our 55th reunion, I visited briefly with Whitey when I went to the Wilora Lake Appartments to pick up Mr. Ballance on our way to the event. Mr. Gil Balance, who taught English and Radio Production at the old Central High School was one of Whitey’s best friends at Wilora Lake. They both had lost a wife and a beloved child shortly before they met, so I have no doubt that they offered each other a bit of comfort in recent years. 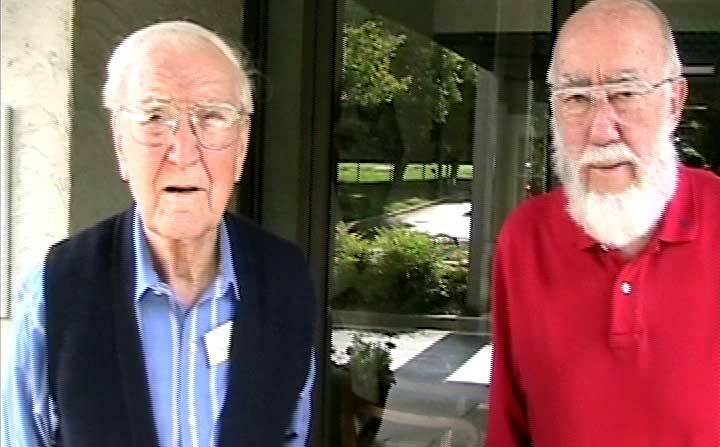 I was a Briarhopper fan from the time I was 5 years old and although I was in my 60’s when I finally got to meet Whitey, the years had not diminished the thrill. 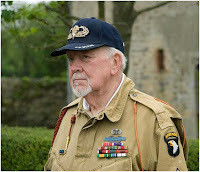 In fact, discovering how kind and down to earth he was only increased my admiration of him. CHS’54 held its 24th “Let's do lunch” program on Tuesday, September 14, 2010. 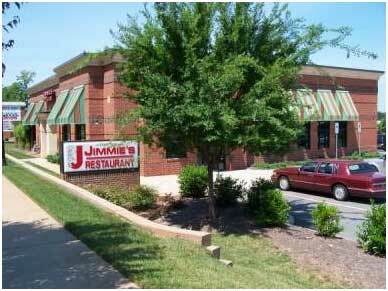 “LDL” is held on the second Tuesday of each and every month at "Jimmies" in Mint Hill. With great thanks to Mary Sue (Banks) Burnett and husband, Clyde for their work in setting the scene, we celebrated this month’s “LDL” in the general dinning room of Jimmies Restaurant and didn’t miss a beat. The restaurant asked our cooperation in giving up our usual private room so they could host to a large group’s meeting and a speaker. Earl Beckham came to give “LDL” a try. 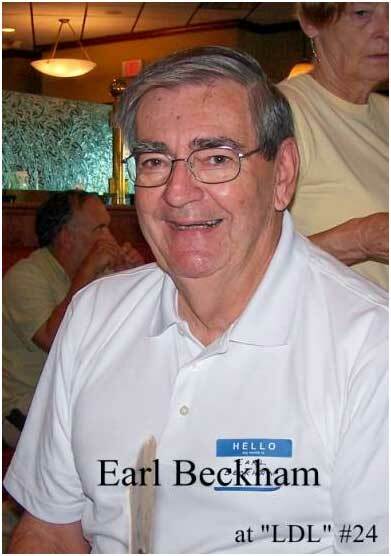 It was great to have Earl join the group and to add his name to our “LDL” roll. 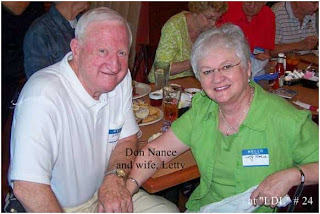 And, Don and Letty Nance came “down” from Virginia for a visit with us. As an added treat, Don brought jars of his fruit preserves to share with each of us. Folks come from near and far so plan to join us next month, October 12. We will look forward to your being with us. And even better, call a classmate and suggest that you meet at Jimmies! Moms are famous for throwing away things like old toys, old clothes, baseball cards etc….that’s part of their job. 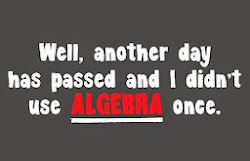 But my Mom was different; she saved just about everything. When my sister and I cleaned out the attic of our old house the fact that no valuable Honus Wagner or Mickey Mantle rookie cards showed up wasn’t her fault. It was mine. I never saved baseball cards. But thanks to her, I still have all my old CHS Snips and Cuts and the Piedmont Annual….and old letter sweaters etc….things that mean a lot to me. Perhaps the most amazing thing in that old attic was the light bulb hanging from the ceiling. My Dad put it up there when he and Mom moved into our home in 1936. Mom told me that it had never been replaced. I have no doubt that it would have made its inventor, Thomas Edison very proud. It was still working when I carried out the last box of memories. It may still be working as far as I know. I wish I had included that bulb in the boxes of mememtos that I brought back up to our home in Virginia. I could pass that on to my grandchildren, because chances are that bulb, and those you now have in your home, may one day be as valuable as rare baseball cards . As you know, in 2007 our ruling class in Congress passed an energy conservation measure that bans all incandescent bulbs by 2014. That’s when only compact florescents (CFL) bulbs will be legally sold. But hey, we all want to save the planet, don’t we? I'm sure you've already noticed the lack of incandesent bulbs in your supermarket. 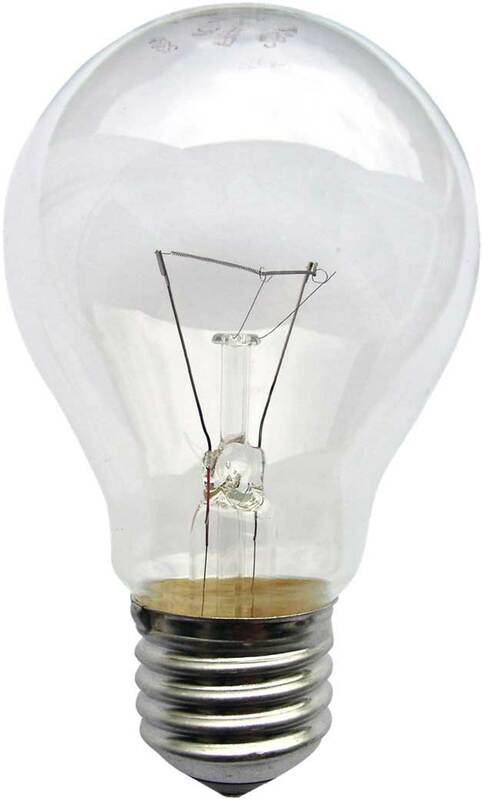 There’s only one General Electric plant left that still makes those bulbs, (in Winchester,VA).and GE is in the process of closing it. 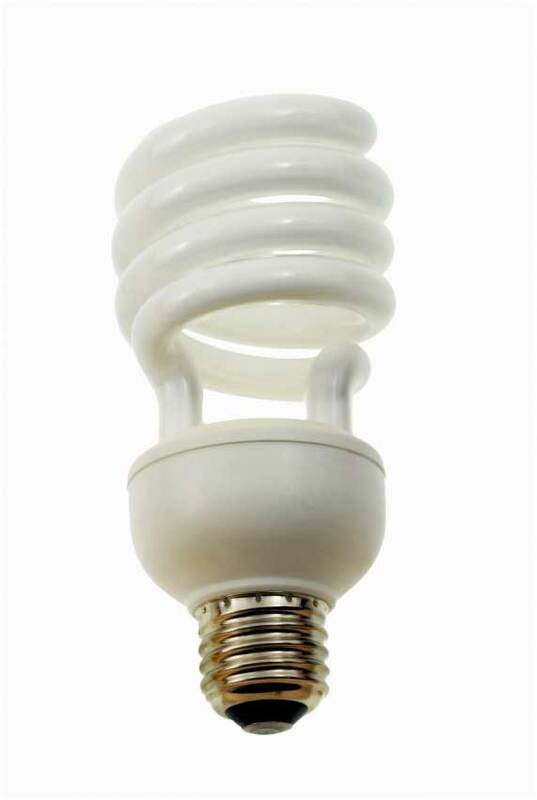 Almost all CFL bulbs are manufactured in China. The Washington Post quotes one of the workers, Pat Doyle, who has worked at the plant for 26 years as saying, “We’ve been sold out. First, by the government….then sold out by GE. Thanks to Shirley's good friend, Phyllis Krumel, we have information that Shirley will be moved to Avante Skilled Nursing and Rehibilition Center tomorrow. She is expected to be in a semi-private room and wioll have a telephone...(call the facility and ask for Shirley). It's that time again! 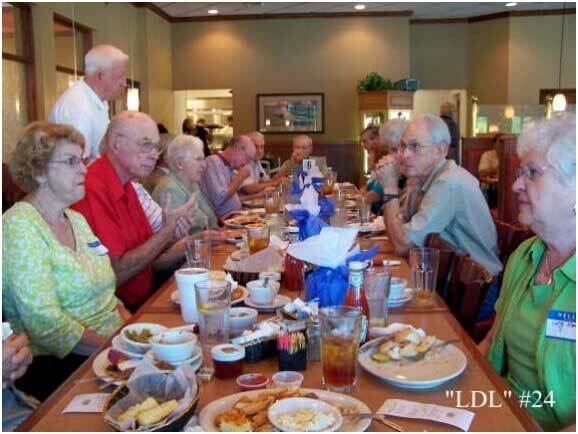 This Tuesday (September 14) is the day for our monthly "LDL" event at Jimmies of Mint Hill. Photos on this website may not necessarily reflect the depiction of the actual place, or person referred to in one or more of the articles purporting to be about any such aforementioned person or place. Questions regarding this site should be forwarded to the CHS54 Department of Legal Jurisprudence and Adjudacation Stuff where they will be put in our big round basket marked "legal frolic." The Fun begins at 11:30. Spread the word! Invite other classmates to come! 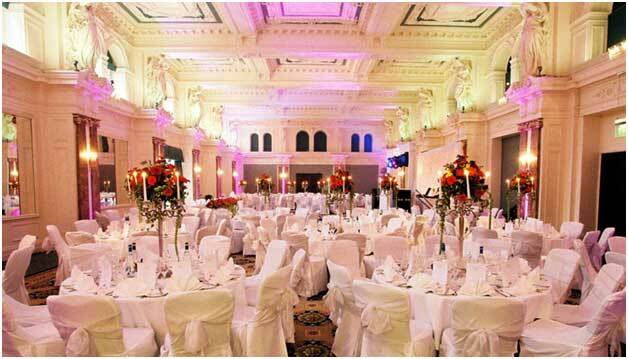 Even better, bring someone with you! Be sure YOU, come! "We got a good report from Evelyn's doctor, saying that the tumor has reduced by 30% in 2 weeks of chemo. She had a rough time and was very sick while on the chemo but has been off for 2 weeks and feels good enough to resume her daily activities and even taught a couple students this week. She will begin chemo again Monday and we dread what it does to her but keep praying that it will continue to work. 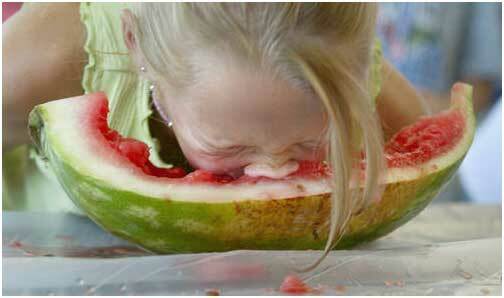 Then we will have to prepare for the surgery. Thanks for all your love and concern - it is felt and helps alot. Tony continues to get through - I put faith in the fact that he and his daughter are tough characters. Love from all of us....JUDY"
Shirley (McClanahan) Maynor is presently in Presbyterian Hospital (main) and is a very sick girl. Her sons are considering options for Shirley which seem to be a Hospice or other nursing care facility. Shirley wants to go home, but unfortunately that seems unlikely. Notes of encouragement will surely give her a lift and, for now, should be directed to her home address because of her pending move.